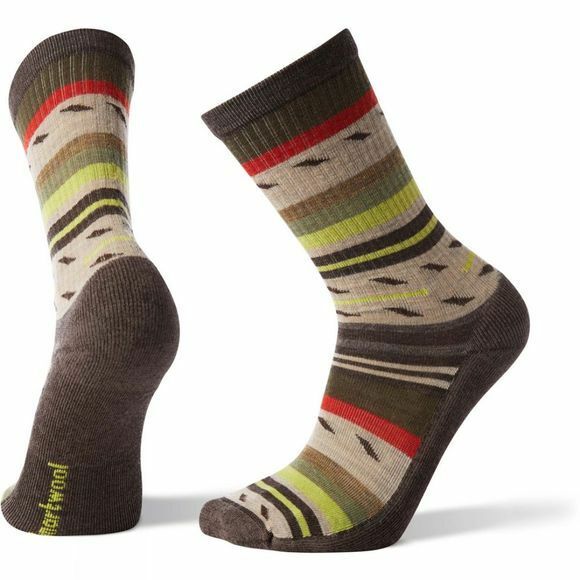 The Men's Hike Light Margarita Crew Socks from Smartwool are a salute to the company's 25 years of making Merino socks. It is a combination of the sock that started it all (the Hike Light Crew) with the most beloved casual sock pattern (the Margarita) to bring you the Hike Light Margarita Crew. A flat toe seam provides in-shoe comfort, while an elasticized arch brace offers a secure fit.